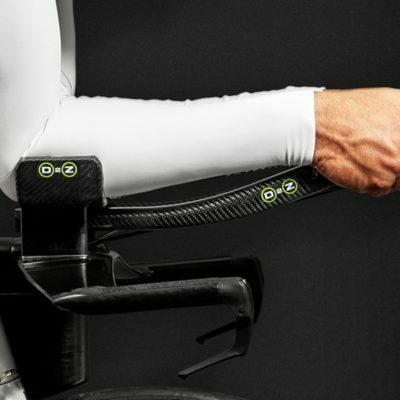 With so many of our rider optimisation sessions resulting in angled arms, and with so few bikes having angle adjustment on the arm rest, we were driven through necessity to design a shim that can incline both the arm rest and the poles whilst offering adequate support and stiffness. 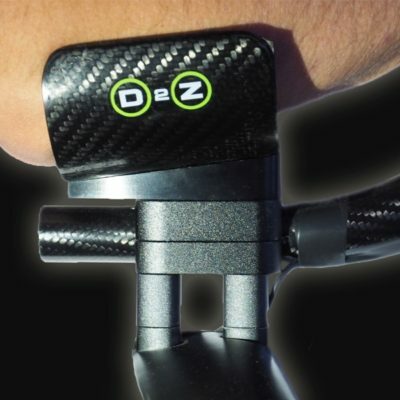 Use of our shims avoids the all too familiar issue of digging the elbow into the back edge of a flat arm rest, providing much better comfort and rider position sustainability. With the addition of the top plate it also closes the gap between the forearm and the pole giving further reductions in drag. Manufactured in the UK from 7075 Aluminium, and hard anodised, they can be mounted on top of base handlebars that have either M5 or M6 holes. Our shims are available in 7.5 degree and 15 degree angles and are supplied with stainless steel low cap head torx bolts (you will need to specify M5 or M6 when ordering: Torque to 6NM). 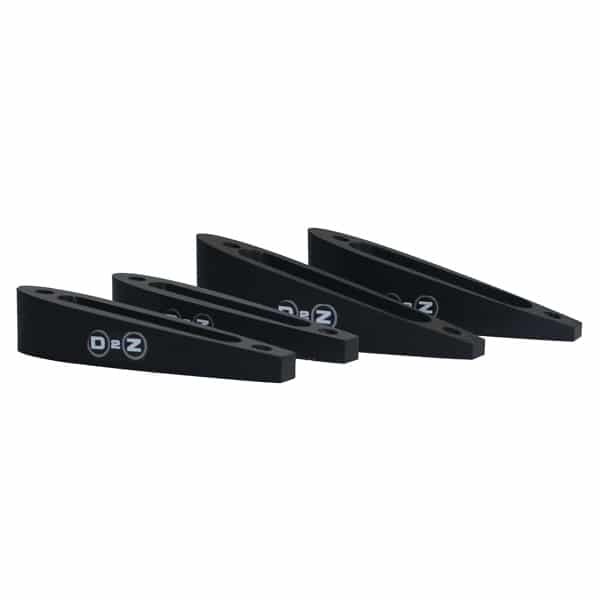 A slot length of 45mm provides additional fore-aft adjustment of the arm rest pad shim. Shipping to UK inclusive. Shipping charges outside UK calculated at checkout. Our shims fit between your base bar and pole clamps bottom face. 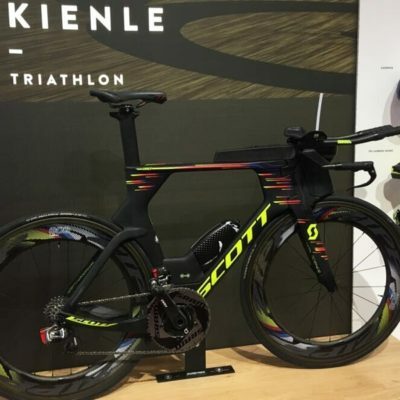 That mounting face needs to be flat and use M5 or M6 bolts – the size of the bolts you need is dictated by your bike and the bolt size used currently for attaching your arm rests to your bike, for example Scott Plasma uses M6 and Giant Trinity uses M5 (bolts which are 6mm or 5mm wide). 2 x M5 or M6 bolts slot through an inline bolt slot in each shim to attach it to the mounting face. The shims come with a separate top adapter plate. 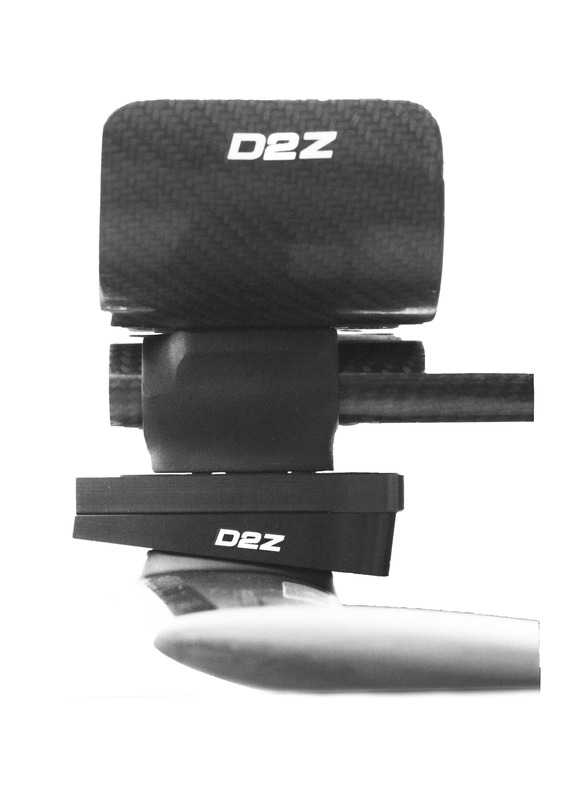 The angled shim is attached directly to the base bar or on top of any existing riser shims and the adapter plate is attached from the inside to the pole clamps. The two pieces are then bolted together once the desired position for the pole has been made. The max distance between the bolts on each shim is 44mm. Supplied with bolts to attach the two items together and but you will need to supply your own bolts to attach to the base bars as this will vary depending on how many stackers/shims you run under them. Please therefore note you may need to provide your own bolts. All bolts need to have an engagement depth of 1.5 x diameter. 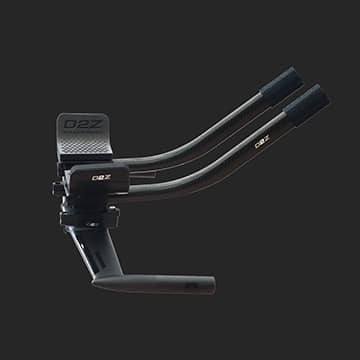 Drag2Zero Limited, registered in England and Wales, Company number 06293304 VAT No: 913523741 | Website design by Clockwork.